Go through the attachment and report to the venue on said date and time if interested. Date : 14/10/2016 at 12.00 pm. 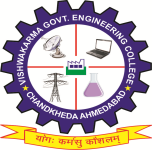 Venue : A Block, VGEC, Chandkheda. Eligibile branches : EE/EC/CE/IT batch-2016 pass out with 60% through out in SSC, HSC and Graduation.